Someone once suggested that taking down the walls between terraced houses and replacing them with compost bins could cause a social revolution. 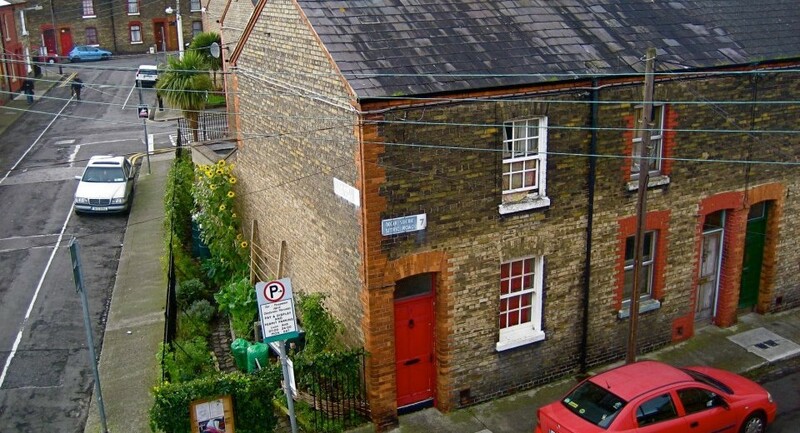 In May 2005 residents on Sitric Road decided to test the theory. We cleared a desolate scrap of ground at the end of our terrace of 60 artisan dwellings, placed two composting bins on it and limited ourselves to using what was freely available locally to begin our experiment. Since then the garden’s fertility has grown exponentially. 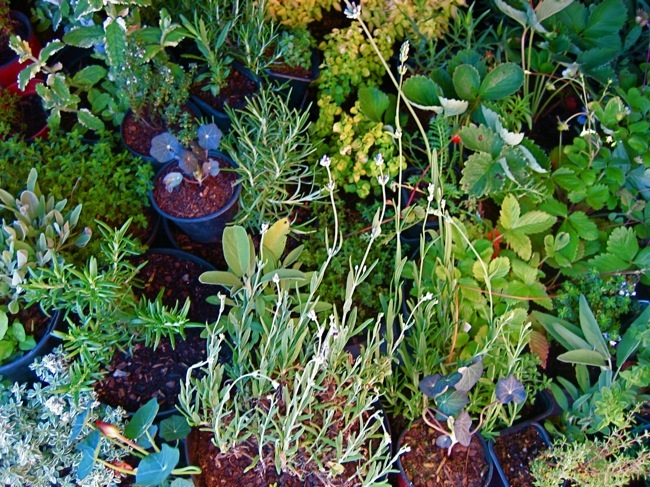 Our composting demonstrations, horticultural experiments and renowned bi-annual street parties (the Sitric Picnic & the Sitric Soup) have become a forum for hundreds of enthusiasts to swap skills and expertise. 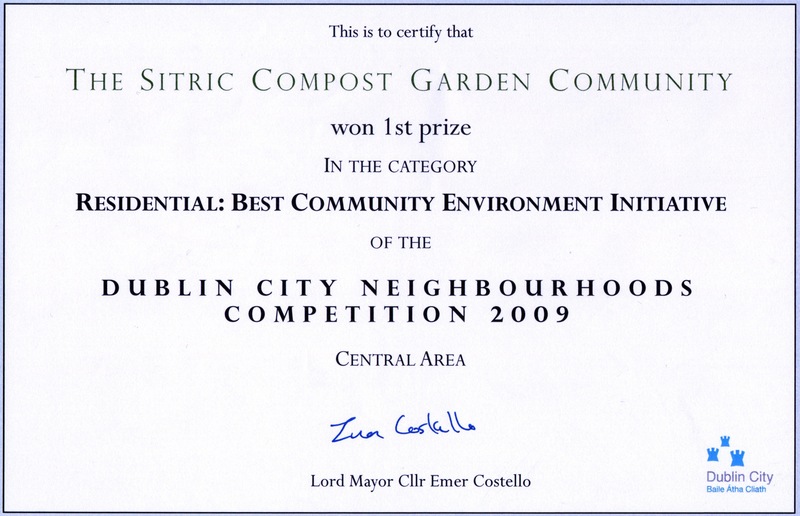 Over the years the Sitric Compost Garden has won several awards from Dublin City Council including Best example of Waste Management and Best Environmental Design. 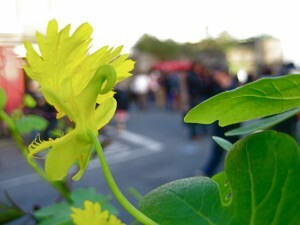 The ‘community of interest’ attracted by our gardening acitivity acts as a catalyst for a wide range of projects that facilitate sustainable urban development. Examples of spin off projects include the ‘Benchmark’ our local public bench and herb garden, the Lifeline Project and SPUDS. 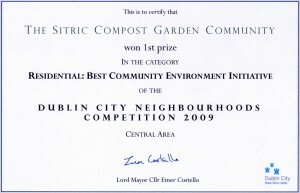 Visit the Sitric Compost Garden Community on Facebook and follow our activities.